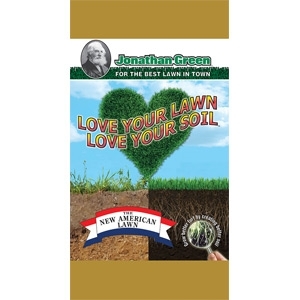 All natural and organic, Love Your Lawn-Love Your Soil stimulates soil microbes and creates a biologically healthy soil. You can grow better turf by creating better soil. Helps to loosen heavy, hard packed soil and releases trapped nutrients. Use on existing lawns and when seeding to enhance grass root mass development. Your lawn soil will become more alive and porous allowing water, air and grass roots to enter the soil more easily.